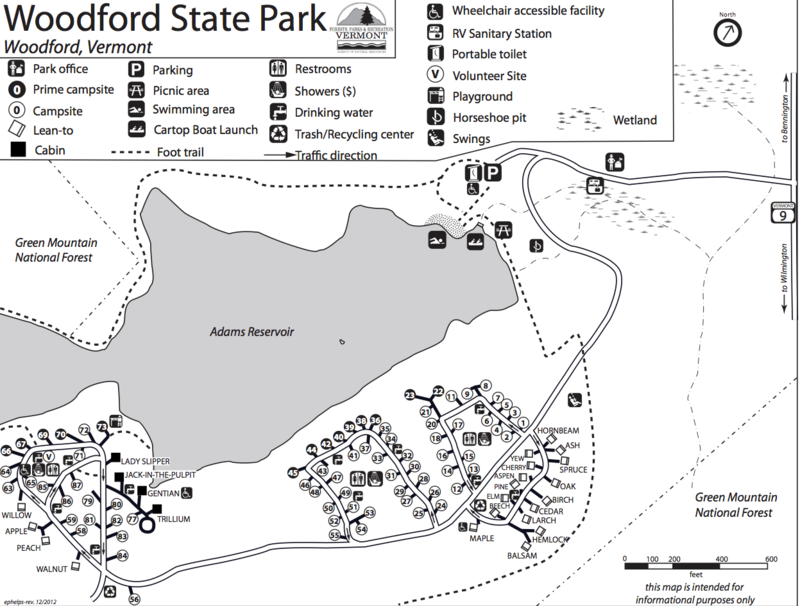 Woodford State Park Campground has 103 campsites (including 20 lean-tos), and 4 cabins in a heavily wooded area next to Adams reservoir. The campground has flush toilets, hot showers ($), a playground, picnic area and a dump station. Each campsite has a table, fire ring and grill. Group camping is also available. Woodford State Park includes 398 acres and has the highest elevation campground of any park in Vermont, at 2,400 feet. The spruce, fir and birch forest offers spectacular fall colors and hiking opportunities. In addition to Adams Reservoir, there are other lakes and ponds in the general vicinity. Woodford is located on a mountain plateau and surrounds Adams Reservoir. 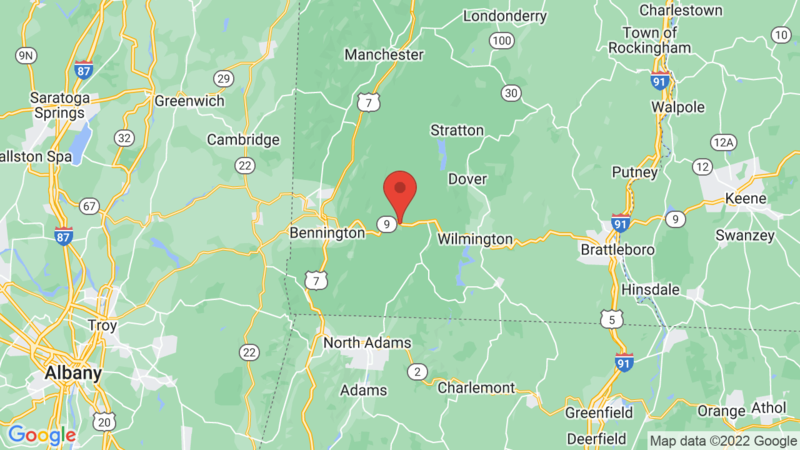 Woodford also borders the George Aiken Wilderness Area, which is in the Green Mountain National Forest. Outdoor recreation includes hiking, biking, canoeing, kayaking, boating, fishing, picnicking and wildlife viewing. Rowboats, canoes and kayaks are available for rent. Cross-country skiing is also popular during the winter months. You may also be interested in Coolidge State Park. It’s about 91 miles north and located in the Calvin Coolidge State Forest. Visted Woodford State Park Campground lately? We'd love to hear about your adventure. Did you find us useful? Did we forget something? Anything our community should know before heading out to Woodford State Park?